Don’t be afraid to use your grappling hook to run and hide from enemies until you buy an easier game. No matter how addictive you find the game, remember to occasionally take breaks from fighting to talk to NPCs and purchase upgrades. If the tide of battle is turning against you, holding L3 while pushing crouch-dodge-jump-attack-crouch will activate “Shizukesa Mode,” where you will still die but be at peace as you become one with eternity. Don’t freak out if NPCs start becoming infected with Dragonrot. Just reconcile with the fact that all game characters die eventually and enjoy the time you get to spend with them. If it’s taking you a while to learn the exhaustive sword fighting mechanics, hang in there—you’ve wasted your time on far more trivial tasks. Ascending Carp and Descending Carp are among the best of the game’s thousands of carp-related skills. In the event you contract Dragonrot, buy a fresh copy of the game, burn your previous copy in a sterilizing fire, and start from the beginning. 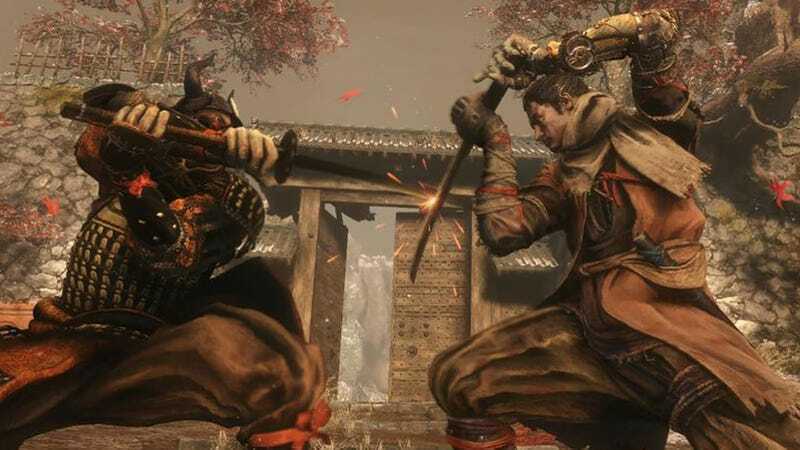 Make sure to utilize the different prosthetic arm add-ons to prove to the world that Sekiro is still just as capable as other ninjas even though he’s disabled.